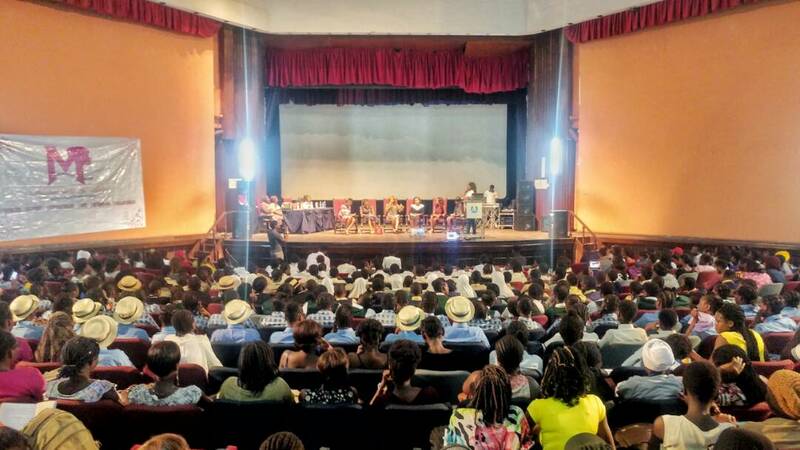 There were over 1000 girls in attendance as Mademoiselle Foundation in partnership with the University of Lagos hosted the “Colour Your Future” event in commemoration of the United Nations’ International Day of The Girl-child 2017. 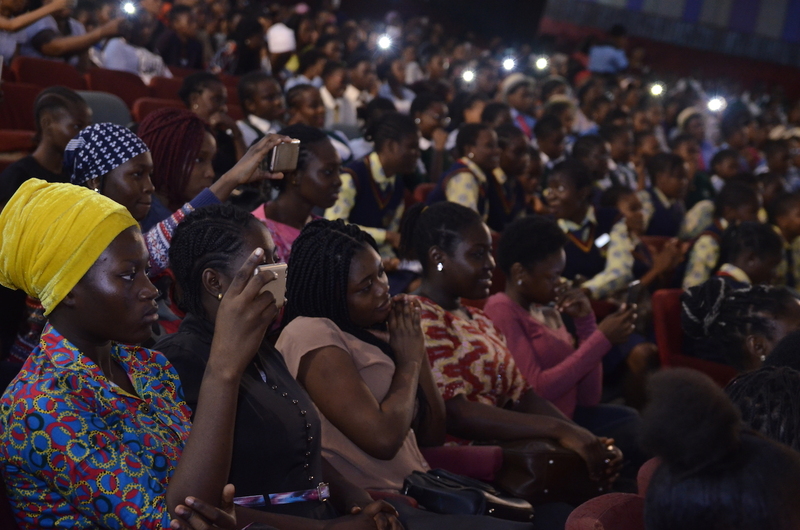 The event, largely attended by students from Secondary Schools around the Lagos environs, including those from within and out of the School Campus marked the beginning of self-realization process in the lives of many of those girls present. 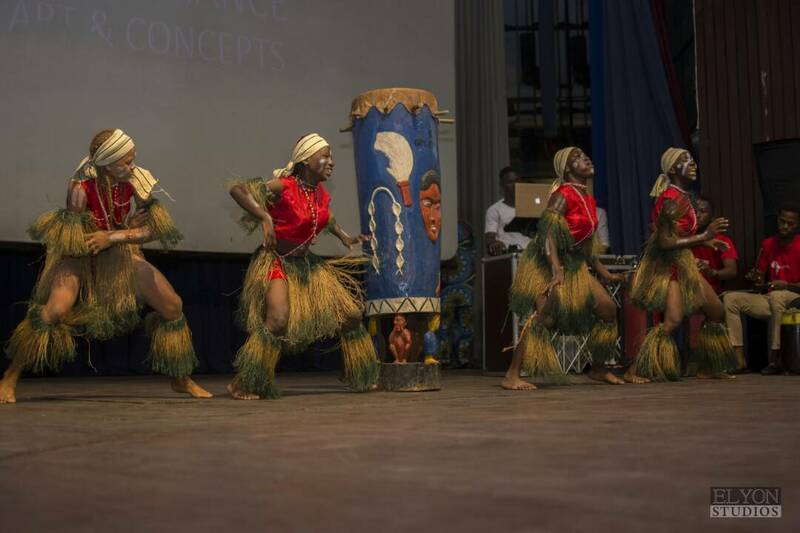 Highlights of the event include the presentation of the “Role Model of The Year (2017) Awards” to notable personalities selected from different fields of endeavours spanning from Entertainment to Social Entrepreneurship. This year’s Awardees were: Mrs. 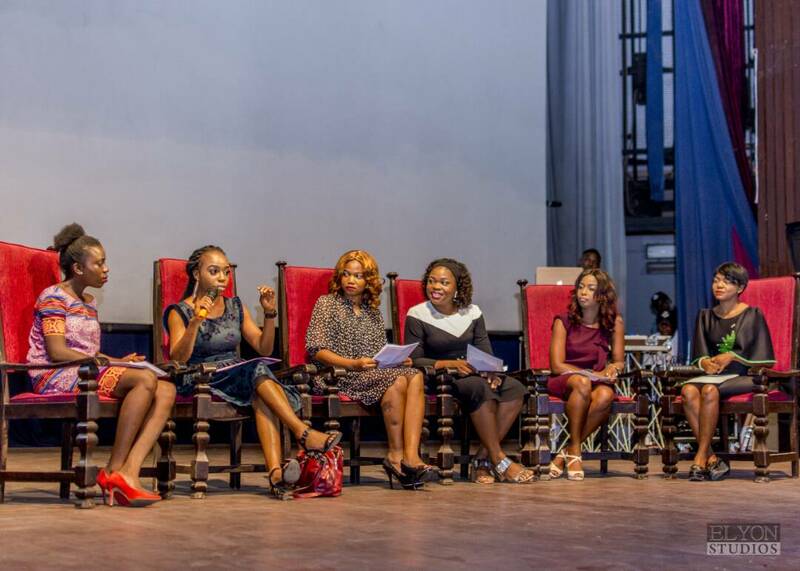 Joke Silva, Mrs. ‘Toun Okewale Sonaiya (MD/CEO of Wfm), Mrs. Uche Pedro of Bella Naija, Mrs. Ariyike Akinbobola – TV Presenter and the Author of “The Cost of Our Lives”; and Ms. Adekunbi Adeoye, CEO of Sesewa Nigeria. 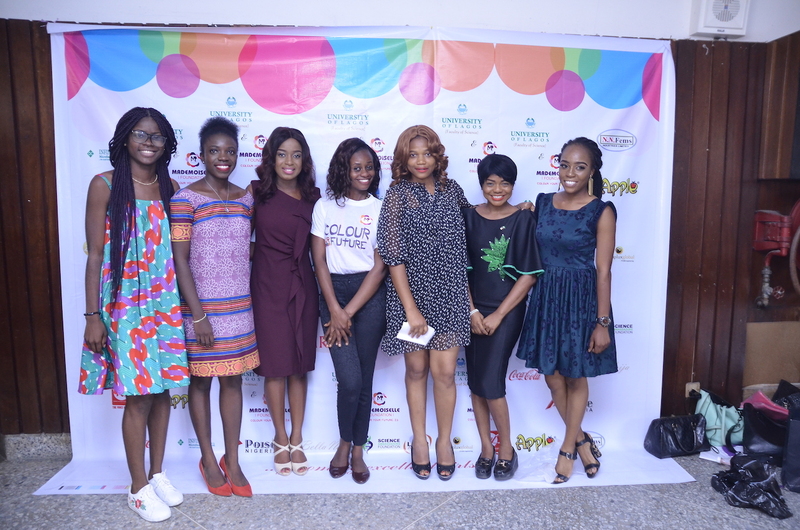 The Awards were presented to them in recognition of the positive impact and influence they have on young girls and their general contributions to girl-mentoring. The programme also featured the Young Female CEO session where ladies in their twenties were engaged in an intellectual conversation driven to inspire the participants on choosing the right career paths, understanding their unique personalities and keeping focus to reach their desired heights. During this discussion session, the girls present were also encouraged to concentrate on their studies and come out with excellent grades beyond seeking to follow their passion. The young CEOs featured in this session were: Sarah Sanni, CEO, Cera Cerni Wall Mural Services, Anthony Teju Tobun, CEO of Makeover By Teju, Busayo Ladapo, CEO, Dynamite Hair Collection, Kikelomo Woleosho, CEO, Red 19 Photography, Doyinsola Ogunye, Founder, Kids Clean Club/Kids Beach Garden and Pat Obilor- OAP and Founder, Mogulettes Africa. At the event, the Dean of the Faculty of Science, University of Lagos, Professor A. Adekunle, being the Chairman of the occasion charged participants to consider a career in the field of Science, highlighting the numerous opportunities attached therein. The Presentation on “Teens Making A Difference” delivered by Poise Nigeria, challenged the girls in attendance to dream big, believe in themselves and thrive for success in their future endeavours, while making contributions in their communities. The event was highly impactful, giving girls a sense of belonging, empowering them for leadership positions and positioning them for the right opportunities. The origami session at the end of the event also taught up to 25 of the participants the art of focus. 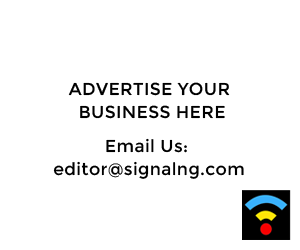 Scholarships, training opportunities at Poise Finishing School, free drinks by Coca-Cola and free gifts from NNFems, Dynamite Hair Collection and Promasidor were also given out. The students in attendance were also given free copies of the book: “How Students Can Fly in Colours” by Adetoun Akitoye. According to the Founder of Mademoiselle Foundation/Mademoiselle Finishing School, Adetoun Akitoye, this event will hold yearly to encourage more girls to be self-dependent, think of their future ahead, stay focused, make the right decisions in choosing their career paths and help them to become emotionally stable, impacting their worlds, starting from their immediate communities.